Let’s take a look at the top gyms in and around Chester. 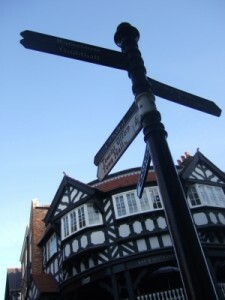 We’ve sorted the gyms by location – either inside or outside Chester (where ‘inside Chester’ means within walking distance of the mainline railway station). Then we sort the gyms into pure gyms and gyms attached to a hotel. Lastly, we have a category for specialist gyms – ie. specialist sports clubs that include a gym. We believe we have all the top Gyms in and immediately around Chester, however, if you think we’ve missed one, please let us know. Why not check out our Chester Personal Trainers too.